Overlooking the casting pond at the Old Mill District is Café Yumm!, a casual dining experience, a welcoming atmosphere and a delicious process that takes you from pure ingredients to the savory first bite. More than half of the food served at Café Yumm! 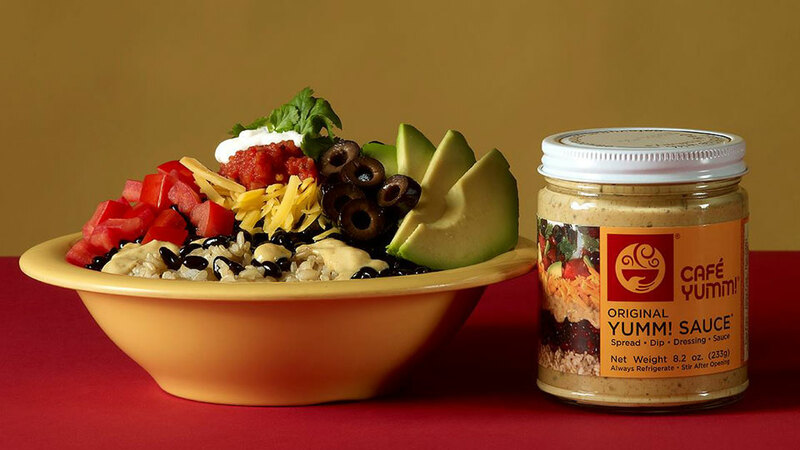 is certified organic, including: brown rice, red beans, black beans, tempeh, red salsa, free-range eggs, field greens, yogurt, and tofu. Open daily for lunch and dinner, Café Yumm! specializes in made to order bowls, wraps, salads, soups and more, and the Bend location offers a selection of Central Oregon craft brews on tap. All menu items have been developed with an eye toward balancing a combination of elemental foods with a light-hearted sense of fun. Even the entrée names make placing your order a lighthearted experience; Deli Lama, anyone? Eat inside or on the pet-friendly patio, or get your order of Yumm! to go. And if you’re looking for a catering option that goes beyond standard sandwiches, Café Yumm! invites you to “Share the Yumm!” for your next meeting, party, or celebration.